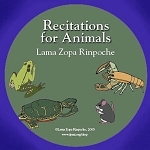 This Audio CD contains recitations by Lama Zopa Rinpoche of mantras and texts deemed especially suitable for animals to hear throughout their lives – when they are in good health, or when they are sick or dying. 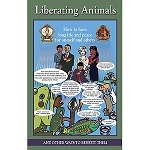 Hearing each mantra and text puts an imprint and blessing in the mind that brings the result of good rebirths, liberation from samsara, and ultimately, full enlightenment. 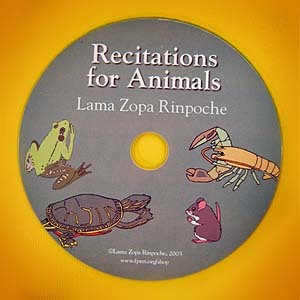 Lama Zopa Rinpoche advises that playing this program for any animal will bring immense benefit. 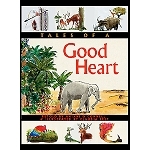 “Yesterday I received the beautiful CD of Recitations for Animals...You may like to know that my precious rescued horses are listening to it as I write...I only wish you could see them because they are absolutely entranced...With eyes half closed they slowly bowed their heads and now stand motionless ”(Vancouver, Canada).